Steven V. Priano, MD is a practicing Orthopedic Surgeon in Lancaster, OH. Dr. Priano graduated from Drexel University College of Medicine in 1996 and has been in practice for 20 years. He completed a residency at Allegheny General Hospital. He currently practices at Ohio Orthopaedics Center. Board Certified in Orthopaedic Surgery/Specializes in Arthroscopic Surgery and Sports Medicine. David M. Vaziri, MD is a practicing Orthopedic Surgeon in Lancaster, OH. Dr. Vaziri graduated from West Virginia University School of Medicine in 1988 and has been in practice for 28 years. He completed a residency at St Louis University School of Medicine. He currently practices at Ohio Orthopaedics Center. Dr. Vaziri is board certified in Orthopaedic Surgery and Sports Medicine/Specializes in Arthroscopic Surgery, Sports Medicine and Fracture Care. Mark M. D'Onofrio, MD is a practicing Orthopedic Surgeon in Lancaster, OH. Dr. D'Onofrio graduated from Drexel University College of Medicine in 1999 and has been in practice for 17 years. He completed a residency at Ohio State University Medical Center. He currently practices at Ohio Orthopaedics Center. Board Certified in Orthopaedic Surgery/Specializes in minimally invasive Total and Partial Joint Replacement. Keith A. Hollingsworth, MD is a practicing Orthopedic Surgeon in Lancaster, OH. Dr. Hollingsworth graduated from Ohio State University College of Medicine in 1988 and has been in practice for 28 years. He completed a residency at Ucsf Medical Center. He currently practices at Ohio Orthopaedics Center. Board Certified in Orthopaedic Surgery/Specializes in Athroscopic Surgery and Sports Medicine. Dr. James Miller DO has joined the Orthopedic Team at Ohio Orthopaedic Center and Lancaster Specialty Surgery Center. Dr. Miller will begin seeing patient’s Sept. 4, 2018. 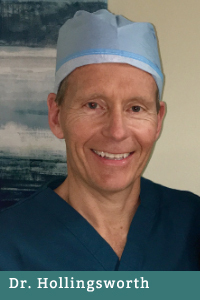 Dr. Miller is fellowship trained and specializes in Total Joint Replacement, Direct Anterior Approach Hip Replacement and Robotic Assisted Total Knee Replacement. Dr. Miller graduated with a Bachelor’s Degree in Biology from Walsh University in Canton, Ohio in 2006. He attended the Lake Erie College of Osteopathic Medicine and graduated in 2012. 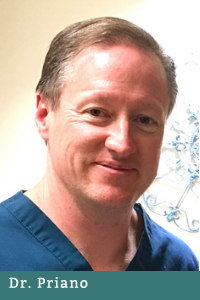 Dr. Miller then went on to complete his residency program in the Pinnacle Health Hospital System; Community General, Harrisburg and West Shore Hospitals in PA from 2012 to 2017. 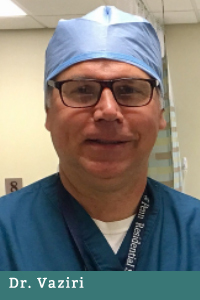 Dr. Miller completed his fellowship in Orthopedic Adult Reconstruction at the Allegheny Health Network in Pittsburgh, PA in 2018. Dr. Anil Gokhale is Board Certified in Otolaryngology and a member of the American Board of Otolaryngology. Dr. Gokhale provides a variety of Ear, Nose and Throat services for both pediatrics and adult patients. Dr. Gokhale is certified in Balloon Sinuplasty and Vagal Nerve Stimulator Implantation. Dr. Gokhale has also received training with the Medtronic Fusion ENT Navigation System and is the first provider locally to offer the navigation services in conjunction with Sinus Endoscopy Procedures at LSSC! Image-guided surgery has become an industry leading standard endorsed by the American Academy of Otolaryngology-Head and Neck Surgery. Image Guided Surgery provides real time positioning information that helps to navigate in and around the sinuses and away from critical structures during the removal of diseased tissue. Dr. Gokhale graduated from Carnegie Mellon University with a Bachelor Degree with Honors in Biology in 1991. He then completed his Medical Degree at the University of Pittsburgh School of Medicine. 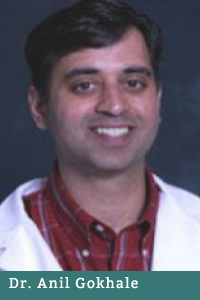 Dr. Gokhale completed his internship at UPMC Mercy Hospital in Pittsburgh, PA and residency in Otolaryngology at Case Western Reserve University in Cleveland, Ohio. Dr. Gokhale has been in private practice in Fairfield County since 2002 and has privileges at surrounding area hospitals. 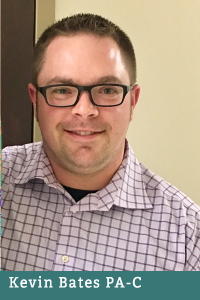 Kevin has a Masters of Science Degree, Physician Assistant Studies from Marietta College in Marietta, Ohio in 2006. The program is ARC-PA Accredited. Kevin also holds a Bachelors of Science Degree in Athletic Training form Marietta College which is CAAHEP Accredited Program, in 2004. 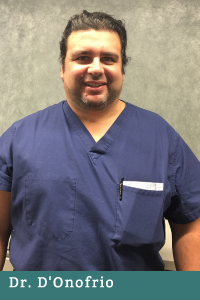 Kevin has been part of the Ohio Orthopedic Center Practice since October 2006. Kevin has professional privileges at FMC, RVSC and LSSC. He holds a National Commission on Certification of Physician Assistants and License with the State Medical Board of Ohio.